Welcome to our blog. We are here to be a knowledgable resource as you navigate the new home buying journey. Check back often to read the latest home buying tips & tricks, learn about our newest models and move-in ready homes, plus so much more! 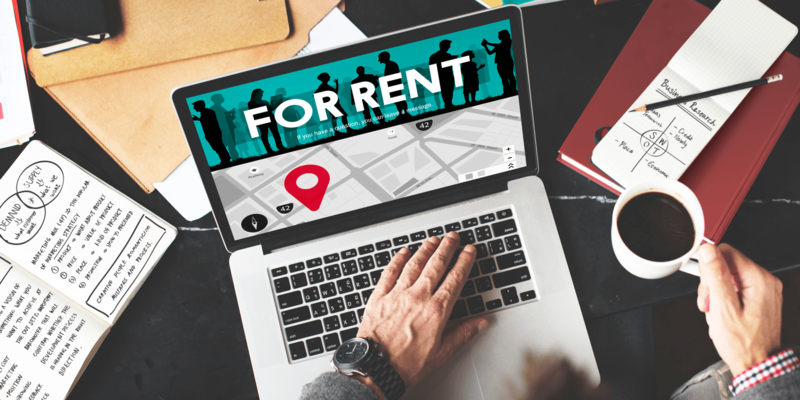 Recently, more people are dipping their toes into the rental income business by purchasing a second property for the purpose of renting it out. These people are also looking at building a new home as the second property for a variety of reasons, including the new home warranty and the fact that these homes are built to current standards. This means no costly repairs or renovations just to pass a home inspection. People building a new home as an income property are in a great position to take advantage of these benefits, as everything needed to meet the requirements for a rental property can be built into the design of the home. It’s nice to have that rental income, but this option isn’t for everyone. Learn more about what rental income means for you to help you determine whether or not you should go down this path. There is one very big difference when it comes to qualifying for a mortgage for a rental property versus one for your principal residence: the down payment. As of April 2010 in Canada, you must have at least 20% as a down payment for a non-owner occupied property. In regards to qualifying, most of what you need is the same as if you were buying a home for yourself. A good credit score/report, your income, employment history, etc. When it comes to establishing how much for your rental, make sure you take the current market into account, along with how much your mortgage payment is and the property taxes as well. However, you need to remember that making your payment will always be your responsibility. If you can’t find a tenant or the tenant doesn’t pay on time, you have to cover the difference. As a result, you want to make sure you have a cushion set aside for your rental, to cover these costs should they occur - more details on this a little later. Talk to a New Home Sales Consultant about how to value the rental income you could receive. 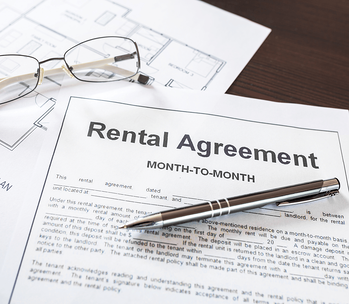 This might seem self-evident, but you have to remember that owning a rental property turns you into the landlord. You’ll be responsible for finding and vetting tenants for your property, collecting rent, and fixing anything that gets broken. In general, those in brand-new homes are “safer” from troubles like repairs because things aren’t as likely to break down. However, you want to keep in mind that renters aren’t always as careful with the property as a homeowner might be, and not everything is covered under warranties. Some people hire agencies to take care of these details for them, but that can eat away at your profits. And when it comes to repairs, you have to pay out of pocket for them at the time of repair, no matter who's 'fault' the damage is. Exceptions here could be things covered in your damage deposit agreement. If you’re advertising a separate apartment area, it has to meet the legal requirements for the city of Winnipeg. These details might include things like the height of the ceiling in a basement suite, for example. However, the rules for a second home are a little different, although you still have to be approved and meet all the conditions. As we mentioned earlier, building new puts most of these concerns out the window since you don't need to worry about upgrading the wiring or foundation issues with a new home. As a reputable builder, we work with you to ensure your new rental property meets all the requirements. As tempting as it might be to put the full rental income toward your mortgage, it’s also smart to make sure that you have money ready to make any repairs or cover any emergencies that your property may need. As a homeowner, you’re sometimes able to put off making some repairs, but when you’re a landlord, you have to take immediate action. If you don’t have money set aside, you’ll have to dip into savings or use credit to make those repairs. It’s smart to put a portion of the rental income into a savings account for these occasions. You might have plans to apply all of the rental income toward your mortgage, but the government will still count this as income and require you to pay taxes. 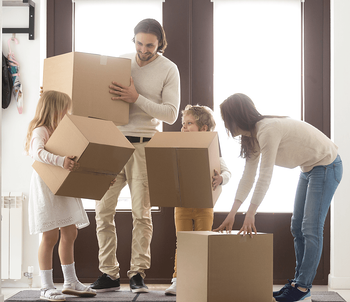 You’ll be able to deduct business-related expenses, but owning a rental property can create a more complicated tax situation for your family. Talk to a tax professional to get a better understanding of what it means for your taxes before you make your final decision. This could be the perfect time to get into the rental market and purchase a rental property. The income you earn can help you in a variety of ways, including being able to afford the home you really want. However, being a landlord does come with a bit of stress, and you have to be ready to take that on. Our New Home Sales Consultants can help answer any questions or concerns you may have about owning a rental property. 2018 STERLING HOMES. ALL RIGHTS RESERVED.